New York City is often described as the “center of the universe,” but what’s at the center of the center of the universe? That would be the Garment District in Lower Manhattan, according to Barbara Randall, president of the Garment District Alliance. “You can’t get any more Midtown than this,” she says. Midtown Manhattan is made up of 24 city blocks that are thriving 24 hours a day, and the Garment District is in the middle of it all. It was originally one of the largest manufacturing areas for fashion in the United States. Today it’s in the middle of a resurgence, with everything from shopping (550 retailers) to gourmet coffee and fine dining (more than 65 restaurants) to entertainment. 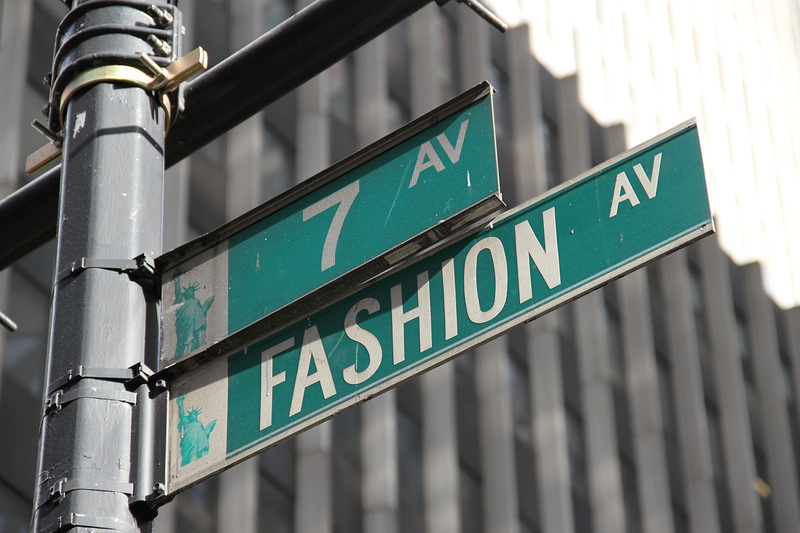 Walk the walk from 35th – 41st Streets along the east side of 7th Avenue to discover the designers who made the Garment District the fashion capital of the world. Twenty-eight plaques celebrate some of the most famous (and lesser known) designers, from Calvin Klein to Anne Klein; the Walk of Fame has it all. What’s better than doing yoga on a mat? Doing yoga in the air! Drop by Om Factory (265 W. 37th Street) and work off that lunch with some aerial yoga. As the sun goes down, head up to Top of the Strand, which was recognized by Premier Magazine for its view and ambiance. It’s an urban oasis with a retractable roof that shows off the New York skyline year round. Grab some dinner and watch day turn into night over the city that never sleeps. The Garment District Space for Public Art showcases the most diverse artistic and design talent in the neighborhood. 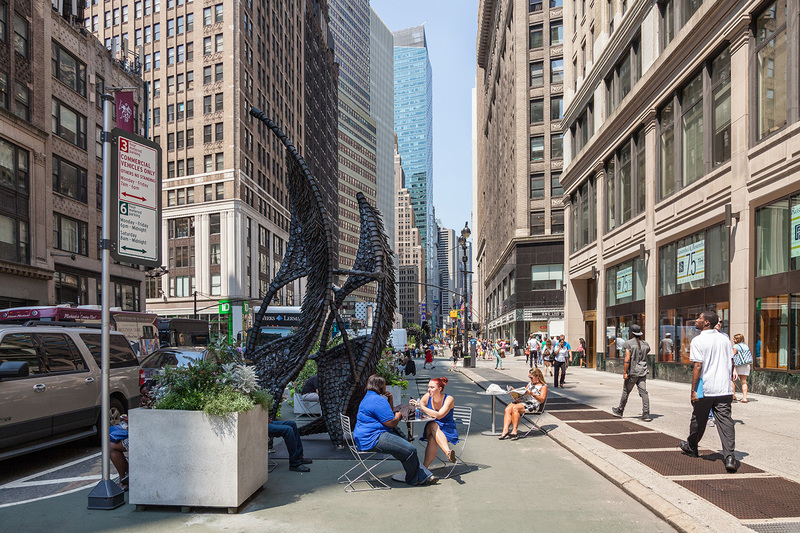 Head to the plazas between 36th and 41st Streets to check out the latest Public Art installation. The displays change every four to six weeks. There is never a shortage of things to do in the Garment District, whether you’ve got a day or a week to explore. 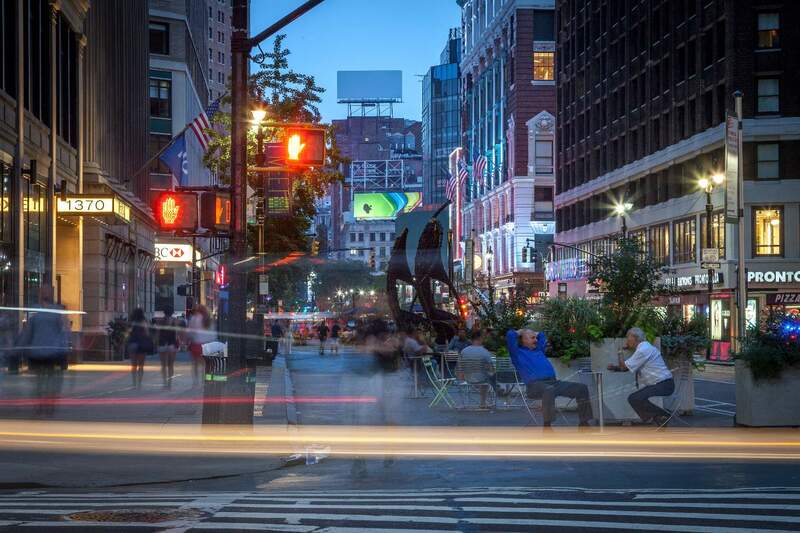 Click here for even more ways to explore the heart of Midtown Manhattan.